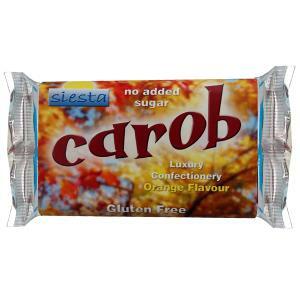 The Uk's number 1 brand of carob is naturally sweet Siesta carob which has nothing added. No sugar, no substitutes or other sweet ingredients. Made with best quality carob powder and non hydrogenated palm oil. Flavouring Natural Orange Oil Suitable for vegetarians.